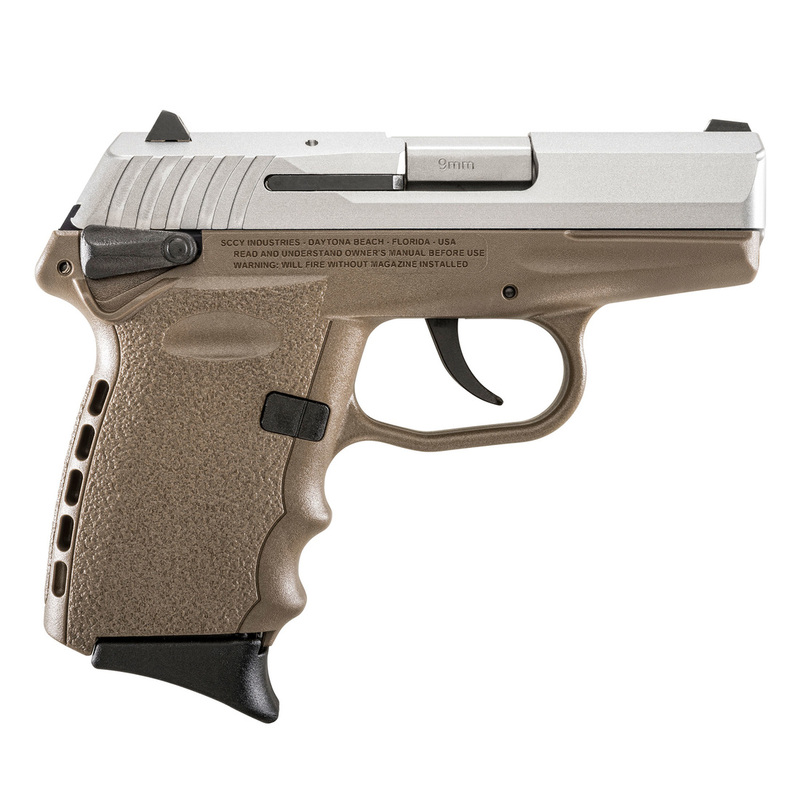 SCCY INDUSTRIES CPX-1 9MM •Version: CPX-1 (Ambidextrous Safety) •Slide Finish: Natural Stainless •Grip Frame: Flat Dark Earth •Compact, concealed carry •DAO trigger •Barrel & slide machined from 416 stainless steel bar stock •Fully encapsulated, all steel spring system (including steel guide rod) •3-dot sight system (rear drift-adjustable for windage) •Zytel polymer frame w/finger grooves & recoil-absorbing backstrap •Includes trigger lock & (2) 10-round mags. w/flush & extended baseplates •Width: 1.1" •OAL: 5.7" •Wt. : 15 oz.